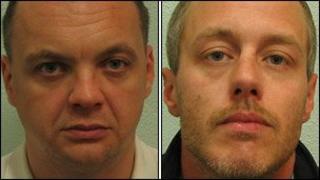 Two men are to stand trial for the murder of Stephen Lawrence. Gary Dobson, 35, and David Norris, 34, are accused of killing the black teenager at a bus stop in Eltham, south-east London, on 22 April 1993. Nobody has been convicted of the crime but a small team of Scotland Yard detectives has continued to investigate the 18-year-old's death. Mr Dobson stood trial in 1996 over the murder - which he denied - and he was acquitted. On Wednesday the Court of Appeal concluded that there was enough new and substantial evidence to allow Dobson's acquittal to be quashed. Brought up in Plumstead, south-east London, the 18-year-old's family life was based on education and religious faith. Friends say he had a good and trusting nature. He was born on 13 September, 1974 - the first of three children to Doreen and Neville who emigrated from Jamaica in the 1960s. Neville was a carpenter, upholsterer, tailor and plasterer. Doreen took a university course and became a special needs teacher. Stephen was studying A-levels in English, craft, design and technology and physics at Blackheath Bluecoat School. He was keen on becoming an architect, and a local firm had already offered him a job. He loved athletics and like many teenagers, liked going out, girls and music. He had never been involved in crime. The inquiry into the failure of the original police investigation to find and convict Mr Lawrence's killers, which reported in 1999, became a key moment in the modern history of criminal justice in Britain. Concluding the force was "institutionally racist", it made 70 recommendations and had an enormous impact on the race relations debate, from criminal justice through to all public authorities. The latest judgment was set out by the Lord Chief Justice Lord Judge, Mrs Justice Rafferty and Mr Justice Holroyde. They said: "The murder of Stephen Lawrence, a young black man of great promise, targeted and killed by a group of white youths just because of the colour of his skin, was indeed a calamitous crime." Mr Dobson and Mr Norris were arrested last September over the murder and are in custody. The allegations could not previously be reported for legal reasons. Their trial is due to take place in November at the Old Bailey and their next court appearance is due for 1 July. A statement from the Crown Prosecution Service said both men had been charged on 8 September 2010 with Mr Lawrence's murder. "The Metropolitan Police Service and the Crown Prosecution Service have worked tirelessly with forensic scientists to review the evidence in this case," it said. The court of appeal's decision is based on its conclusion that there is sufficient, reliable and substantial new evidence to order a new trial in the case of Gary Dobson. The evidence is scientific, and relates to clothing. Its reliability is disputed by Gary Dobson. The Court of Appeal has stressed that its decision means no more than that the question of whether Gary Dobson had any criminal involvement in Stephen Lawrence's death must be considered afresh by a new jury, which will examine the evidence and decide whether the allegation against him is proved. Gary Dobson was acquitted of the murder of Stephen Lawrence following the collapse in 1996 of a private prosecution brought by the teenager's parents. Since that time the law on double jeopardy has changed, allowing the prosecution to apply to quash an acquittal if a court is satisfied that there is new and compelling evidence to be put before a jury. "A full forensic review was commenced in June 2006. New scientific evidence was found and on that basis the prosecution applied for a retrial. "Our thoughts at this stage go to Stephen's family, who have never given up their quest to see justice for Stephen." The BBC's Daniel Boettcher, at the Court of Appeal, said Mr Dobson's trial could not have previously taken place under the double jeopardy rule, which prevented a suspect being tried a second time for a crime. "Up to a new piece of legislation in 2003 it was not possible to face a fresh trial on the same allegations," our correspondent said. "That so-called double jeopardy rule was changed. The new law was actually introduced in 2005. But there is this level that has to be reached, that judges have to be convinced that there is new and compelling evidence to allow that fresh trial." The judges said: "After conducting a detailed examination of a large body of evidence, we have come to the conclusion there is sufficient, reliable and substantial evidence to justify the quashing of the acquittal and to order a new trial. "This decision means, and we emphasise, that it means no more than that, the question whether Dobson had any criminal involvement in Stephen Lawrence's death must be considered afresh by a new jury, which will examine the evidence and decide whether the allegation against him is proved. The presumption of innocence continues to apply." Media captionDoreen Lawrence: "At this moment in time ... all I can think about is Stephen"
Our correspondent says new forensic evidence had been found on two items of Dobson's clothing - a grey bomber jacket and a multi-coloured cardigan. The judges say that if proven it would "place Mr Dobson in very close proximity indeed to Stephen Lawrence at the time of the attack". Mr Dobson's lawyers had argued the scientific evidence brought against him was unreliable and had been contaminated by the mishandling of forensic evidence bags. Mr Lawrence's father, Neville, said he was "relieved and delighted at the court's decision". His mother, Doreen, said: "It's been a long time in coming but we still have a long way to go, and so at this moment in time, all I can think about is Stephen. "Perhaps somewhere down the line we will finally get justice for him, because everything has just been a long time for us to get to this position."